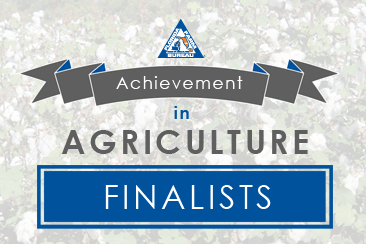 Three finalists have been selected for Florida Farm Bureau’s 2017 Achievement in Agriculture Award and will compete in October for the top statewide honor at the Florida Farm Bureau Annual Meeting in Ponte Vedra. This year’s finalists are Brittany Lee (Alachua County), Jimmy Hancock (Pasco County) and Kelly Mosley (Clay County). The winner will be announced at the Florida Farm Bureau State Annual Meeting, Oct. 30-Nov. 1, in Ponte Vedra Beach, and will receive a brand new Chevrolet Silverado, courtesy of Southern Farm Bureau Life Insurance. The recipient will also receive an all-expense paid trip to the 2018 American Farm Bureau Federation Annual Meeting, scheduled for Jan. 5-10, 2018 in Nashville, to represent Florida in the national competition. Lee is the vice president and farm manager of Florida Blue Farms, a Southern Highbush blueberry farm in Orange Heights. Hancock owns and operates Hancock Citrus Harvesting in Dade City. Mosley operates Amazing Grace Crop Maze in Green Cove Springs. The agritourism destination highlights farm life for thousands of visitors each year.